The Claridge Hotel, once known by its 1929 nickname 'Skyscraper by the Sea', radiates a breathtaking Manhattanesque design situated in the prime center of the Atlantic City's boardwalk. One of the last remaining architectural masterpieces from the Boardwalk Empire Era, The Claridge Hotel housed such legends as Marylyn Monroe, Al Capone, Nucky Johnson, Princess Grace of Monaco and Frank Sinatra. The 'New' Claridge Hotel will target all market segments such as leisure travelers, families, group travel and convention business. Emphasis will be placed on providing unique service amenities such as private limo transportation, shopping and golf packages, state of the art cardio health club with pilates, spectacular entertainment in the 600 seat Las Vegas style cabaret showroom and an elegant ballroom facility to host weddings and private functions. 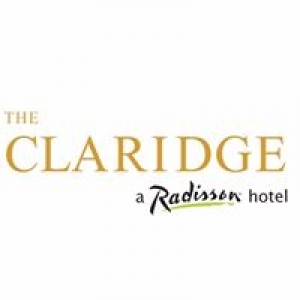 The Claridge Hotel will also appeal to casino customers who can visit the Bally's Casino conveniently connected to second floor entrance.